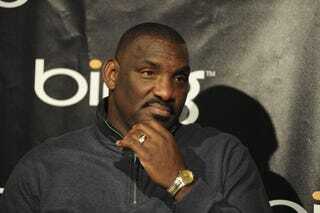 Doug Williams will return to coach at his alma mater. EURweb is reporting that football legend Doug Williams is returning to his alma mater to assume the head-coach position for the second time in his coaching career. The former Washington Redskins quarterback and Super Bowl XXII MVP played for the late Eddie Robinson at Grambling and succeeded him as coach following Robinson's retirement. While a student at Grambling, Williams won 35 of 40 games he played as quarterback and led Grambling to four straight Southwestern Athletic Conference championships. In 1977, Williams was named first-team All-American by the Associated Press and finished fourth in voting for the Heisman Trophy. He finished his collegiate career with 93 touchdown passes and 8,411 yards passing. After Robinson's retirement, Williams led the Tigers from 1998 through 2003. This time around, he will have the opportunity to coach his son D.J., who will play at Grambling next year. Can you say Cindafella? The opportunity to coach where you played not once, but twice, and to coach your son is pretty amazing. Williams, who had been working as general manager of the UFL's Virginia Destroyers, will replace Ron Broadway, who is headed to North Carolina A&T. In other news: Wisconsin Union Fight: Deadlocked.